We often get asked these questions why would anyone want a Dog Walker or a Pet Sitter and as you can imagine there are many reasons but we have put together some of the main questions and answers below. Why choose a local dog walker? Are you insured first aid trained & DBS checked? Do you offer Dog Grooming? The reason to choose a local Oakham dog walker covering Rutland & Stamford like Sarah's Pet Care Services is we have the love and passion to treat your dog as our own. A local Dog Walker is great if you have work commitments and will be leaving your dog on its own too long. If your visiting family or going out for the day. If you simply don't have the energy or know you will be having a long day. We provide the walk for dog based on their individual needs as all dogs are different and require different walks. We always have a meet and greet first to ensure your dog is happy and to ensure all your dogs needs are going to be carried out in the best way for your dog. We find that this works well for you the owner as you will have peace of mind knowing we already know what your dog knows us and you will not have to worry if their been cared for as you will know they are in safe care with us. The reason to choose a local pet sitter covering Oakham, Rutland & Stamford like Sarah's Pet Care Services is we have the love and passion to treat your pet as our own. A local Pet Sitter is ideal if your are going on holiday or away with work. A local pet sitter is also good for the day if you are simply visiting family or going to a concert. A pet sitter can also make a number of visits during the day to care for your pets along with an overnight stay. Pet sitters are also known as home boarders, house sitters, pet carers, pet nanny or pet companion. We provide the care for each pets based on their individual needs as all pets are different and require different care. We always have a meet and greet first to ensure your pet is happy and to ensure all your pets needs are going to be carried out in the best way for your pet. We find that this works well for you the owner as you will have peace of mind knowing we already know what your pets needs are before your away and you will not have to worry if their been cared for as you will know they are in safe care with us. A local dog walker & pet sitter like Sarah's Pet Care Services are fully insured and first aid trained. Additionally vehicles are professionally fitted with dog creates to ensure that your dog is transported to the walking location safely. When selecting dogs for group walks we ensure that all dogs will get on and ensure that they only socialise if the dogs are suited to walk together. 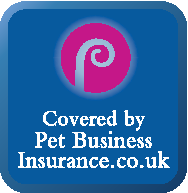 We provide pet care in Rutland & Stamford for all household pets from cats and dogs to birds to rodents to reptiles. We have extensive experience with all these kinds of pets and would love to help with your pet too. We provide the care for each of these pets based on their individual needs as all pets are different and require different care. We always have a meet and greet first to ensure your pet is happy and to ensure all your pets needs are going to be carried out in the best way for your pet. We find that this works well for you the owner as you will have peace of mind knowing we already know what your pets needs are before your away and you will not have to worry if their been cared for as you will know they are in safe care with us. As your local dog walker & pet sitter we are fully insured for group walks, pet sitting, home boarding, and transporting pets. We have also completed pet first aid courses and keep this up to date. 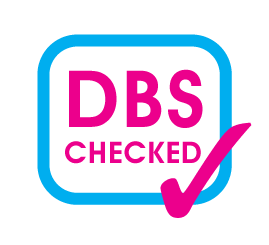 We are also DBS checked (formaly known as CRB check). All representatives of Sarah's Pet Care Services are formally background checked and vetted before we let them carry out any work with us for your peace of mind. We also require them to have a pet first aid course too so they can help with any medication your pet may need or if the worse ever does happen no one panics and we can give your pet the best care. Due to popular demand Sarah's Pet Care Services have now got a sister company WeStyleAnyDog.com which are our Mobile Dog Grooming service for Rutland & Stamford. WeStyleAnyDog.com will come to you at your home and provide their Dog Grooming services so you don't have to take the dog to the groomers. This makes it much more convenient as we found many of our customers were asking if we could not only offer a dog grooming service but they specifically asked for a Mobile Dog Grooming Service.